The goal of the Rooftop Films Filmmaker Grants NYC is to help our filmmakers make creative, intelligent, low-budget films. Since Rooftop Films inception in 1997, the mission of the organization has been to support an independent film making community, and to help filmmakers at all stages of the process, from production to exhibition. Submissions for the Rooftop Films Summer Series opens in September for viewing the following May. Any filmmaker who has ever screened a film at Rooftop Films is eligible. Please note that only these filmmakers (producers and directors) may apply for funding. If you were a key collaborator on a film that screened at Rooftop, or you have questions regarding your eligibility, please email Rooftop Films before applying. Unlike festivals which give awards for filmmakers’ past works, the Rooftop Filmmakers Fund is an opportunity to help our community of filmmakers make their next movie. Rooftop Films set aside $1 from every ticket sold and $1 from every submission fee received and grants those funds to alumni filmmakers for their film productions. We’ve been screening films since 1997, and every filmmaker who has ever shown a film with Rooftop is eligible for our grants. Only filmmakers who have screened a movie at Rooftop Films’ festival are eligible. 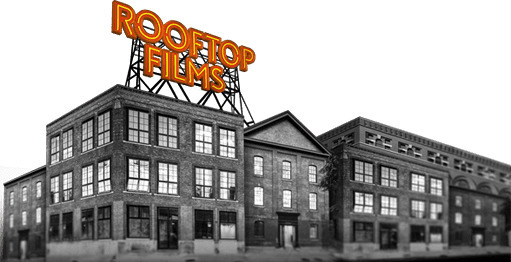 Rooftop Films has ten grants available -six for feature length films and four for short films. Each year, Rooftop Films will give away over $40,000 in cash grants. + The Rooftop Filmmakers' Fund Short Film Grant. + The Rooftop Films / Adrienne Shelly Foundation Short Film Grant for Women. + The Rooftop Films & Eastern Effects Equipment Grant. + The Rooftop Films & Edgeworx Post-Production Grant.